Ann Siang Hill is a highly sought-after district amongst expatriates and we attribute its popularity to the enclave of bars and restaurants housed in colonial shop houses. The dining establishments in this neighbourhood are predominantly western, but a new tenant is shaking things up a little. Lo and behold, The Coconut Club! Do not let its name fool you – this place is neither a Tiki-themed cocktail bar nor a nightclub. 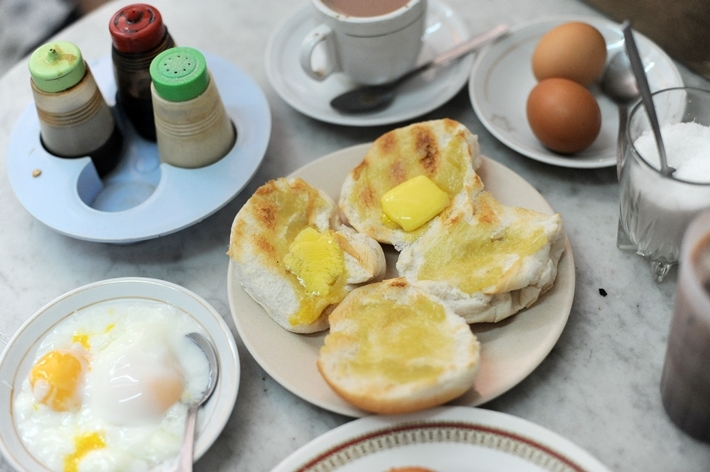 Instead, it is a speciality Nasi Lemak restaurant. 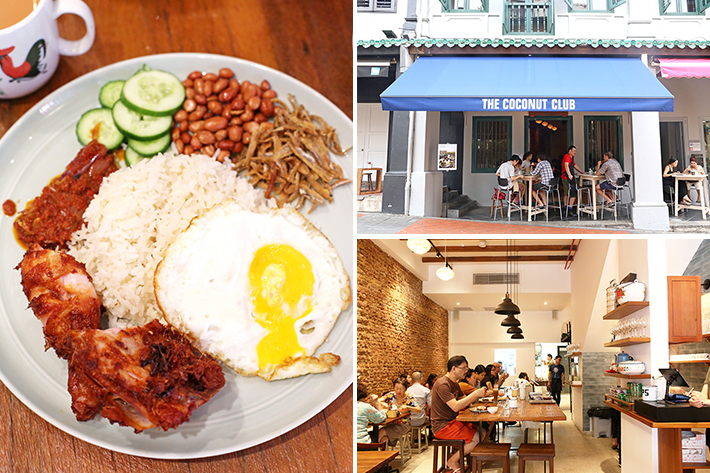 The owners have spent two years sourcing for the best coconuts and refining their nasi lemak recipe before opening this eatery. 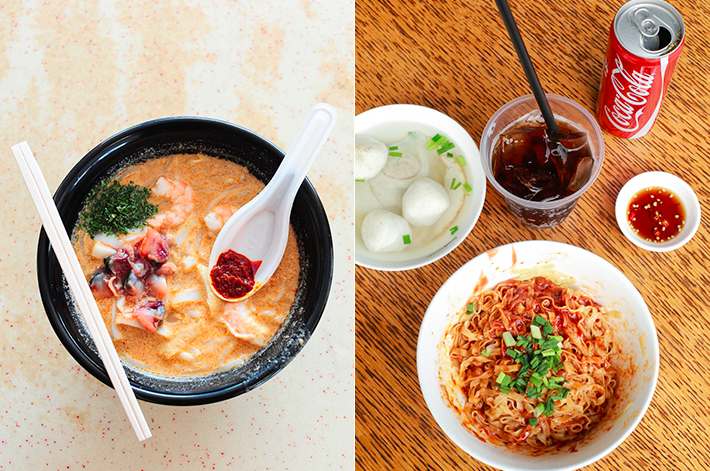 Nestled in between the shophouses on Joo Chiat Road is Sinpopo Brand, one of our favourite cafes with a strong touch of nostalgia. 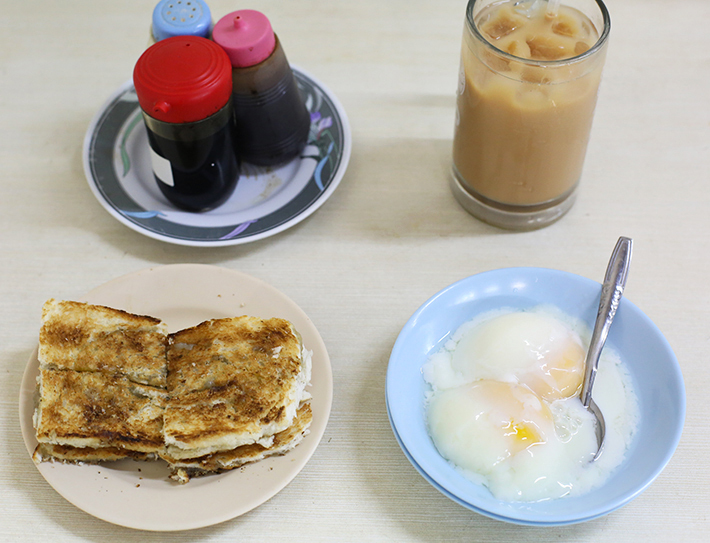 The cafe boasts a retro rustic ambience – think wooden tables, checkered floor tiles, antique light bulbs, Bruce Lee posters and songs from the 60′s. 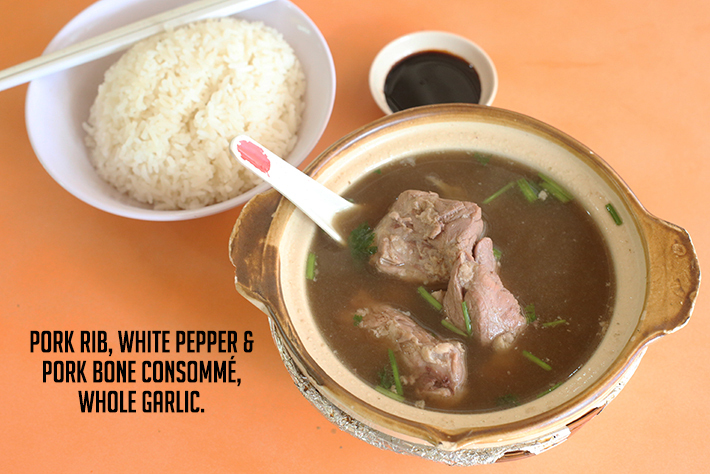 Nothing spells comfort to a Singaporean more than Nasi Lemak and Hor Fun – which is exactly what Sinpopo Brand is known for. 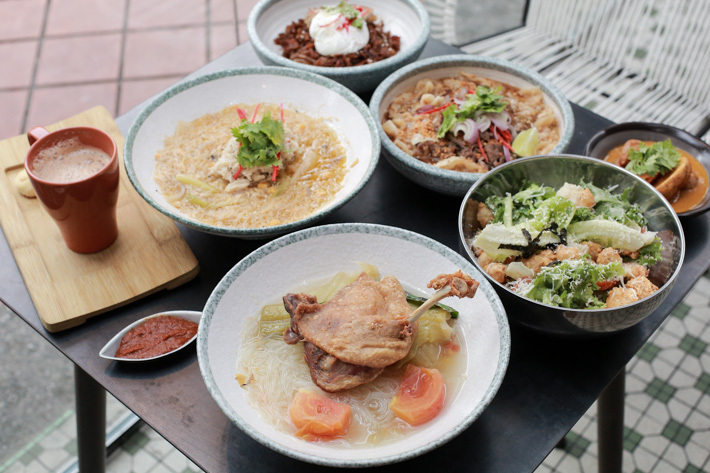 However, what distinguishes Sinpopo Brand from the usual hawker centre food besides the vintage interiors of the cafe, is how they deliver local food that comes with a twist. 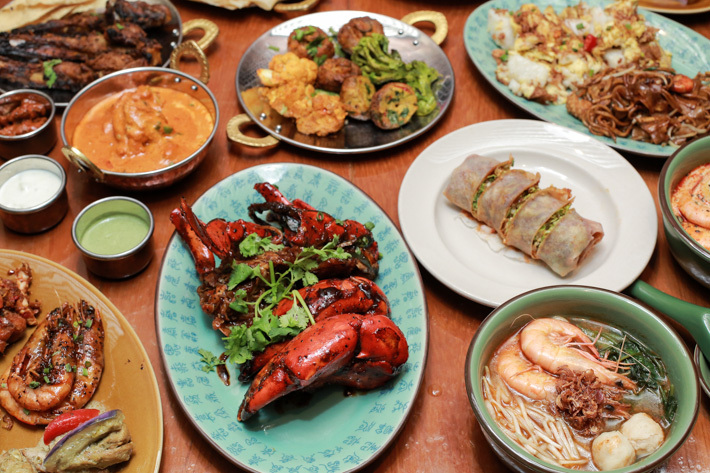 On our previous visit, we shared several of our favourite bites from Sinpopo Brand. Since then, the concept cafe has introduced new additions. There is a Salted Vegetable Duck Soup that totally reminded us of grandma’s cooking, a Muah Chee Salad and an extremely photogenic Gula Melaka Chendol Parfait! 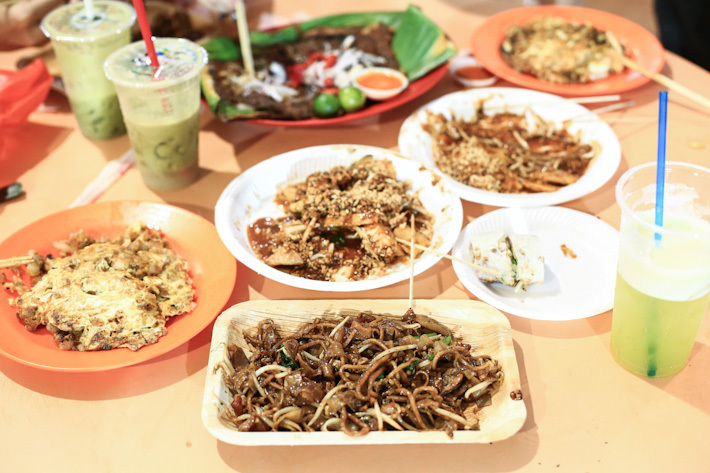 Readers of Ladyironchef can enjoy any dessert for just S$5 with any 2 main dishes or Nasi Lemak for Two ordered.